Advances in Imaging and Electron Physics merges two long-running serials Advances in Electronics and Electron Physics and Advances in Optical and Electron Microscopy. This series features extended articles on the physics of electron devices (especially semiconductor devices), particle optics at high and low energies, microlithography, image science and digital image processing, electromagnetic wave propagation, electron microscopy, and the computing methods used in all these domains. 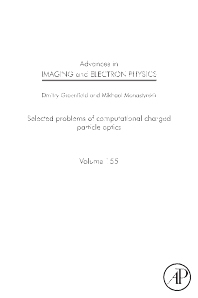 This monograph summarizes the authors' knowledge and experience acquired over many years in their work on computational charged particle optics. Its main message is that even in this era of powerful computers with a multitude of general-purpose and problem-oriented programs, asymptotic analysis based on perturbation theory remains one of the most effective tools to penetrate deeply into the essence of the problem in question.